Folks - we moved up the discount rate on the TBBQF forum from 10% to 20%. Be sure to enter the coupon code TBBQF on your order on our website to save! Awesome deal folks, Thank you Gator! Bought quite a bit from you without the discount. Thanks so much!!!!! For the discount!!!!!! Gator do you have any distributors in Northern Calif. I would love to try your Suckle Busters but haven't seen it any where near here. 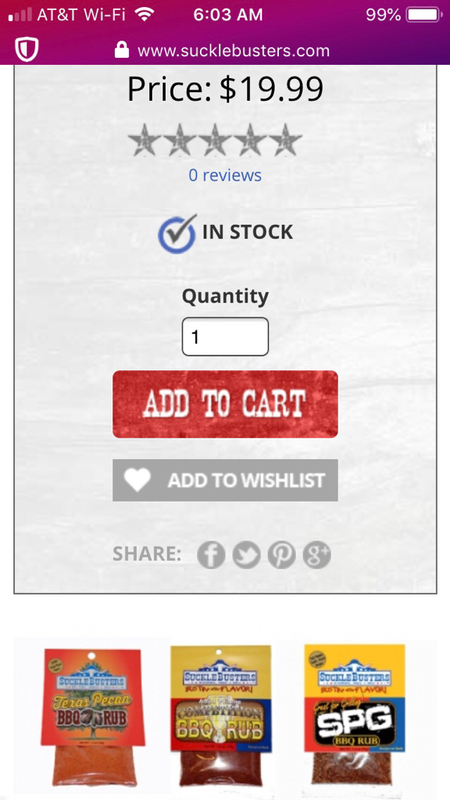 I don't order online but rather buy it from a store. If you have a list of distributors in Northern Calif I would appreciate it. Mule rider wrote: Gator do you have any distributors in Northern Calif. I would love to try your Suckle Busters but haven't seen it any where near here. I don't order online but rather buy it from a store. If you have a list of distributors in Northern Calif I would appreciate it. Thank you Gator for the information. it looks like Redding is the nearest location. Its about 4 1/ 2 drive from here. I will make it there in the near future. Thanks again. hoping I could get an answer on how many ounces are in the packages....anyone out there know? 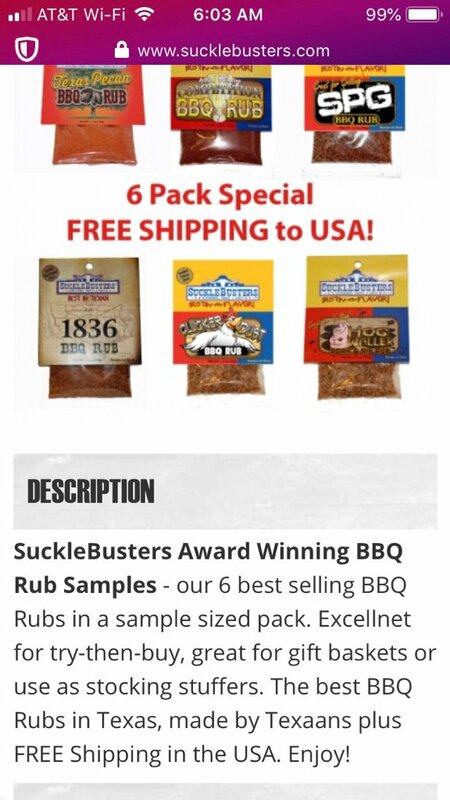 The sample pack have 1 oz each rub.